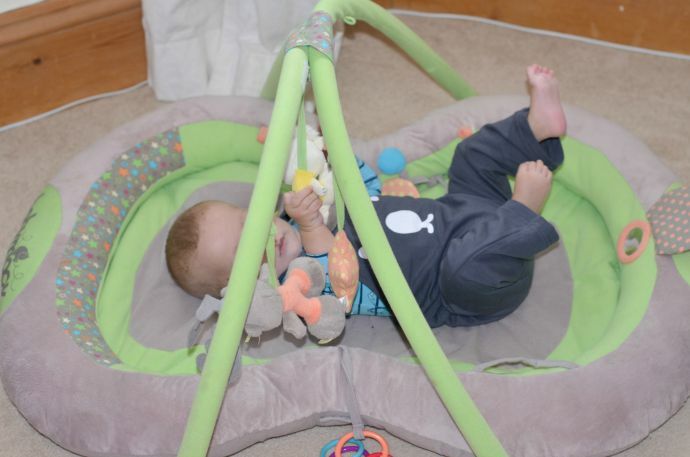 Ever since we discovered BabyMoov, they have been one of our favourite companies, and their activity nest is just perfect for a small baby. 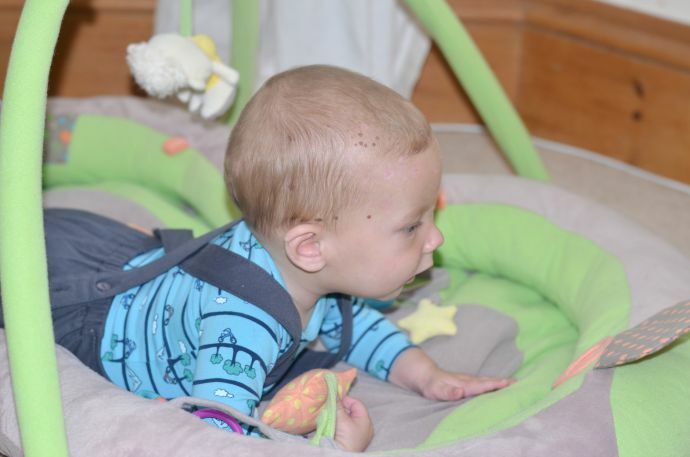 It is soft and padded around the outside, and comes with a newborn insert to help keep their delicate head protected and in the right position. The mat is simple but entertaining enough for Finn still at 6 months. We found this ideal in the early day as Finn seemed overwhelmed by the colours and noise of other playmats. He was content on his Babymoov mat and as he got bigger, stronger and more coordinated he started batting the toys and eventually grabbing them so he could really explore them - with his mouth of course. At 6 months old Finn is still happy on there. There isn't space for him to roll over, but he is happy staying where he is for now. 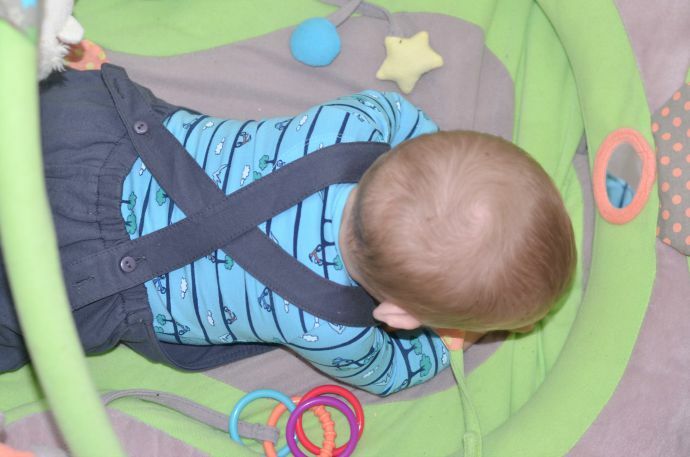 For a baby that does roll though, the padded sides stop them rolling over the edges and escaping - for the short period before they learn to climb over it anyway! 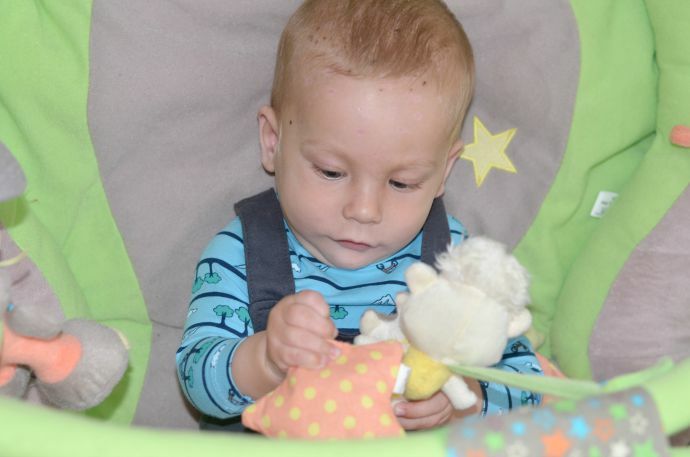 He can play on his back, reaching out for the toys which are interchangeable, or play on his tummy, uncovering the little mirror and playing with the toys that can be alternatively attached on the floor. 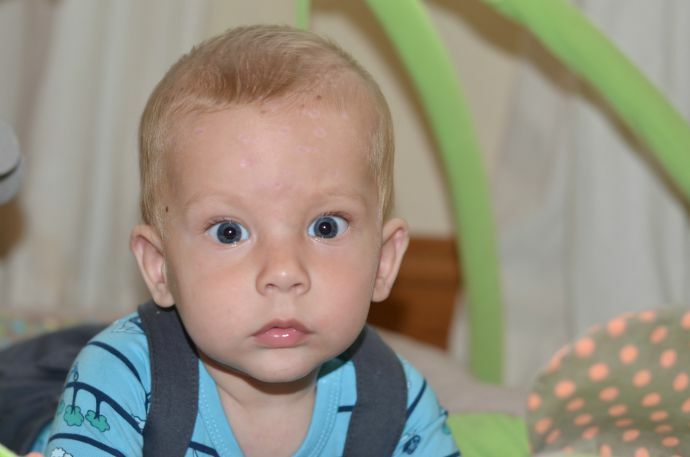 The whole mat is soft, and the part that he lies on can be removed and washed - something that is very important if you have a refluxy baby like mine. The mat can easily be packed up and transported - perfect for visiting grandparents and travelling and the arches are removable. 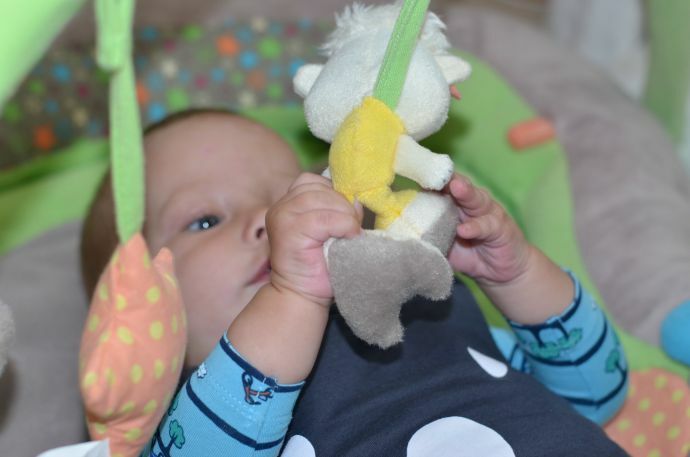 I love the fact this mat can be used from birth, that it is soft and secure for even the smallest of babies. It won't last as long as some, as it is designed more for the first six months but if you are looking for something for the first half a year of your babies life then I would recommend this mat. Babymoov products all come with a lifetime guarantee and from my experience, every product we have had from them has been the highest quality. This activity next retails at £79.99 and comes in two colourways. This looks fab, I love the higher sides of the nest and the more subtle colours!